Growing up on Mississippi sharecropper land in 1945, inspired by his family’s deep devotion to spirituals on Sundays, and blues on Saturdays! Moving to Chicago in 1963, he started on that path of becoming a great bluesman, getting his first steady gig at the Legendary Theresa’s Lounge. After he joined forces with Willie Dixon, his dream came true in 1981, John’s idol, Muddy Waters called for him to lead his band. After Muddy’s untimely death, he joined up with Magic Slim & The Teardrops for the next 13 years, traveling all over the world and innovating the “Chicago lump” sound. In 1995, he began leading his own Real Deal Blues Band. He recorded his own Blues House Productions record label. 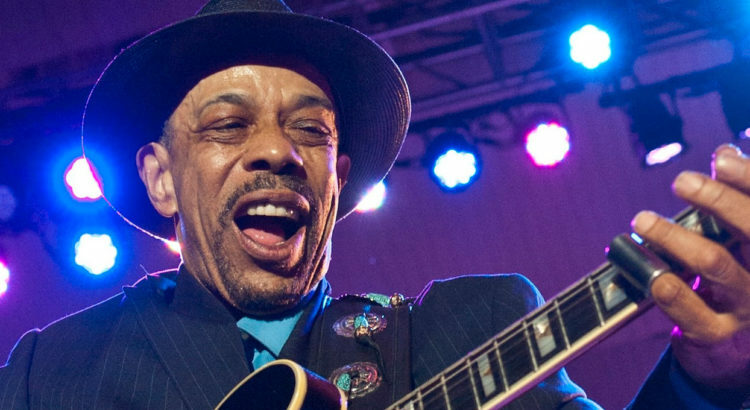 A Chicago Blues Hall of Famer with 2 Grammy Nominations, given 2 Lifetime Achievement Awards, winning a Blues Music Award, several Living Blues Awards and countless other awards, John Primer is a Chicago Blues Icon keeping all the traditions alive!